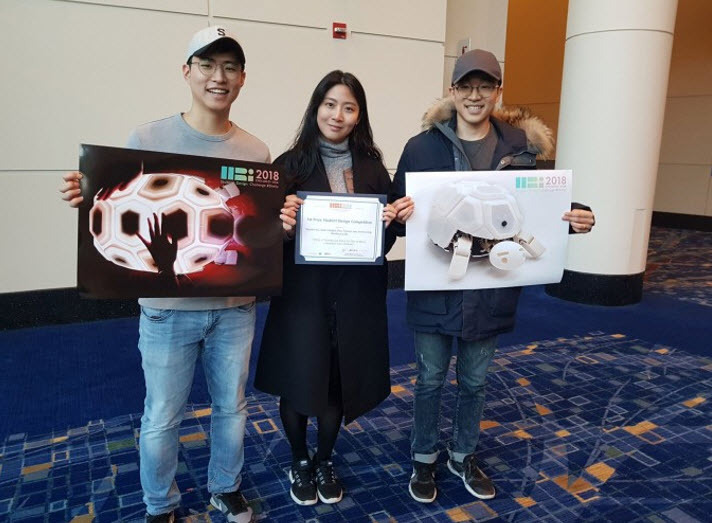 The team was composed of five undergraduate students including Wongkyung Do and Jason Jangho Choi of the SNU Department of Mechanical and Aerospace Engineering, Sunho Jang of the SNU Department of Electrical and Computer Engineering, and Hyunjin Ku of the KAIST Department of Mechanical Engineering. 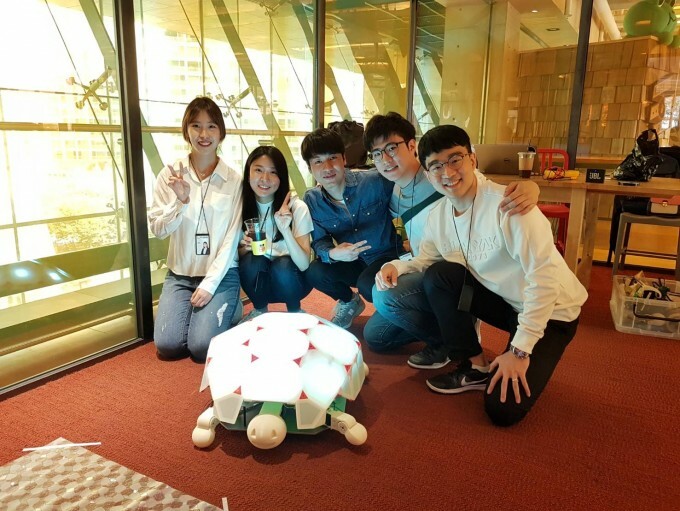 The students began developing a social robot that could play with younger children during an internship program for Naver Labs Robotics Group. The product of their efforts was Shelly, a turtle-shaped social robot. Shelly is an interactive social robot specifically designed to play with elementary school-aged children. Equipped with vibration sensors and multi-colored LED lights, Shelly is able to express various emotional states such as happiness, anger, fear, and sadness. "Though most social robots in today’s market are better suited for one-on-one interactions with humans, Shelly was built with the ability to interact with and respond to multiple children at once," said Jangho Choi. “Shelly would even be fit for hectic environments such as playrooms and kindergartens,” he explained. In particular, Shelly received positive feedback for motivating children to avoid engaging in aggressive behavior. When a strong force is detected on its touch interface, Shelly retracts into its shell and temporarily stops responding. Researchers studied the behavior of 100 children interacting with the robot and found that children did indeed refrain from aggressive behavior in order to continue playing with Shelly.